Its not everyday that we see a refrigerator that is functional and "fasyon". But with Samsung, possibilities are endless. 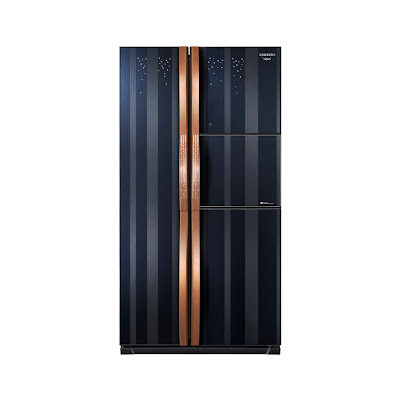 With a world-renowned Italian designer, a luxurious home appliance is coming our way. Its functional and fashionable in one. Who knew household could look so elegant? Samsung Electronics Philippines Corporation (SEPCO), a leader in digital media and digital convergence technologies,recently unveiled the premium edition “Jewel” refrigerator (RS26MB), an outstanding home appliance, designed by world-renowned jewelry designer Massimo Zucchi. If you think you can ruin my good shoes, think again. Since on my way to the office isn't flooded, I needed good flats that wouldn't ruin (if they're made of low quality leather), or will get wet (like my floral flats that are made of cloth). And I have just the solution and no, I don't mean rain boots. I think I need to shut down my deal site accounts when I'm in the office. Or ban my email because whenever I check my mails, these awesome discounts make me spend more than I'm supposed to. 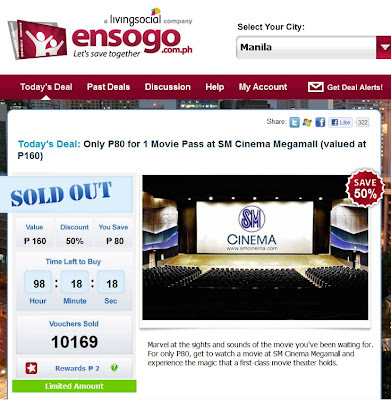 Just like today, Ensogo did not make me think twice, I just had to find my ATM Card and I'm all set. KFC Tower Burger: Its A Tower, And Its Made of Chicken! 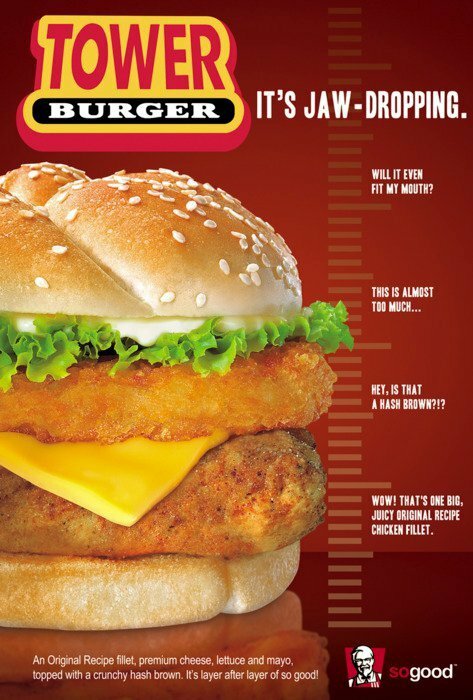 After the success of Double Down, KFC introduces the newest addition to their sandwich line, the jaw dropping, TOWER Burger. Priced at Php110 (a la carte), it consists of an original recipe fillet, premium cheese, lettuce and mayo topped with a crunchy hash brown. It has so many layers, you would think of a strategy on how to eat this yummy goodness. My deal sites addiction is getting out of hand. But on second thought, it lets me save on my purchases. Just like my Ani Marie Spa and Salon purchase, my transaction to a five Radio Frequency Therapy session was worth my time and money. Located at Metrowalk, Pasig City, Ani Marie Spa and Salon is a quaint, yet chic shop that offers hair, face and body treatments that are friendly to the budget and guaranteed effective. Their services include hair care such as rebonding, coloring and repair. They also have spa massages to surely soothe your body and senses. Upstairs, their body and face treatments are performed such as Diamond Peel and Facials. They also held their RF Treatments (such the one I bought) there. What I love most about Ani Marie Spa and Salon is their accommodating staff. During my RF sessions, Ann (my favorite among them) would ask me how my day was, or even lets me relax while she's doing her job. Too bad I only bought five sessions for my arms, because Ann said, that to see great results, you must at least have ten sessions of RF. But its really effective, that in one session, you can already shed 2-3 centimeters. Not bad right? For the beauty that you deserve, visit Ani Marie Spa and Salon at 2nd Floor Metro Walk, Meralco Avenue, Ortigas Pasig City. They also have a Cebu Branch at 2nd Floor Zeraus Building, 90 Gorordo Avenue, Lahug, Cebu City. You may also visit their website for rates at http://www.animariebeauty.com/ or LIKE them at the Facebook PAGE. 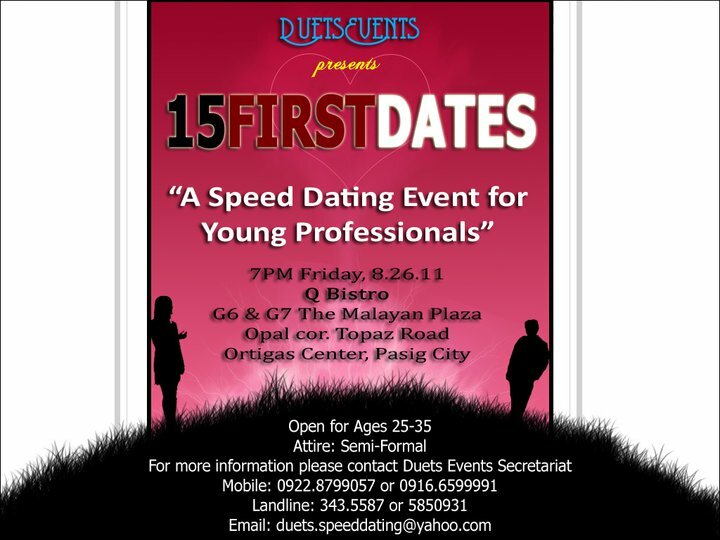 This is open for ages 25-35, Semi-Formal attire. It is a formalized matchmaking process or dating system where men and women are rotated to meet each other over a series of short "dates", usually lasting from 3 to 8 minutes. At the end of each interval, the organizer rings a bell or clinks a glass to signal the participants to move on to the next date. At the end of the event participants submit to the organizers a list of who they would like to provide their contact information to. If there is a match, contact information is forwarded to both parties. Contact information cannot be traded during the initial meeting, in order to reduce pressure to accept or reject a suitor to his or her face. - everybody is purportedly there to meet someone unlike in bars, disco etc. - participants can come alone without feeling out of place. Office deadlines and reports always stress me out. As a melodramatic, I would always whine that I need all the pampering I could get since I don't always have time for myself. Lucky for me, Beauty and Butter in SM San Lazaro is just a stone throw away from our house, and they made my night the most awesome ever. Beauty and Butter is located at the 2nd Floor of SM San Lazaro. Everytime my boyfriend and I go to SM, I would always pass by their store because their interiors are colorful and homey. But since we would only stay shortly at the mall, I never had the chance to avail of their services, until last night. Entering the shop, their staff are all friendly and accommodating. As a first time customer, I had to fill up the information sheet and then situated myself at their comfy and spacious couch. They asked me what service would I like to avail and they recommended the Foot Spa with Pedicure (Php500). While at it, I also thought of getting a Manicure (Php180). Anyway, it has been a long while since I had my nails done by a professional. While waiting for their assistant to start the foot spa, the receptionist handed me an iPad, free of use. Soaking my feet at the sink with scented liquid soap is love. After a few minutes, she scrubbed my feet and legs and scraped the bottom of my footsies. How patiently she toiled and left my feet soft and smooth. And theyre now dead skin cells free! After putting on cream, she wrapped my feet and relaxed them for a few minutes. I also let go of the iPad since the movie "Just Go With It" was playing at their LCD TV. Beauty and Butter does not only pamper your hands and feet, they also extend their services to different types of Facial (for normal, sensitive and acne prone skin), which ranges from Php250 to Php350, Waxing, Threading, Massage (Full Body Php700, Back Php350) and Nail Art. I keep on thinking that I have to try the Half Legs Waxing (Php500) and the Bye Bye Blemish Facial (Php350) next time I go back. ﻿After taking out the towels, she massaged my feet and they were oh-so-soothing. It wasn't ticklish at all! Seems like I wouldnt want to move them anymore since it felt so relaxed afterwards. Then she proceeded with the pedicure, while one of their staff worked on my manicure at the same time. I felt like a princess because I was so pampered. Then I chose the red SPAritual Vegan nail polish (an additional Php60 if you want them painted to your nails) and they said that those are made of organic materials. Meaning, it wouldnt make my nails cause discoloration, it is eco-friendly, and free of synthetic materials. And since I arrived with my flat shoes, I was worried that the nail polish would get ruined. Fortunately, they have these cute dryers so the clumsy me could not tarnish the newly applied polish. Now my nails are definitely idiot-free. Beauty and Butter's branches are located at SM Megamall, SM San Lazaro and SM Mall of Asia. Check out their array of services at the Beauty and Butter Website or you may check them at the Beauty & Butter Facebook Fan Page. 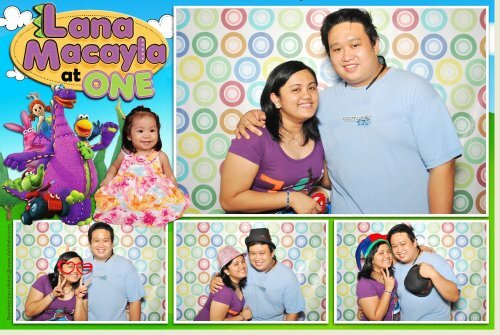 A year ago, we could have been not celebrating our July monthsary if I permit myself to be taken away by our situation. ﻿See, Jeff and I are worlds apart. Not like Aladdin and Princess Jasmine type of story, but more of a Romeo and Juliet without the complications of warring families. And honestly, I'm waiting for our dilemma to finally be over so my happy ever after could finally come. I just hope it'll be soon. After fifteen months, I'm still happy with him. Despite his bestfriend drama, past romances, my ex-boyfriend hangups, were still surviving day by day. Sometimes, I keep thinking if life would be easier if I stayed away, but then I'd have no rhyme and reason to live. I would have shoulda, woulda, couldas every day of my life. They say the best is yet to come. And I've always believe that God doesnt give us something we could not handle as long as were together. He says that if we couldn't be together in the future, at least he made me closer to God. Though I know that someday, this world would give a place for us to be together forever and ever. I have always been a fan of ABS-CBN's reality shows. When they first aired Endemol's Pinoy Big Brother, I religiously watched the show. Then they aired Pinoy Dream Academy, the Pinoy version of the reality TV show Star Academy, and I was hooked! I was rooting for Yeng Constantino and I was happy when she won as the "Grand Star Dreamer". After leaving the PDA, Star Records launched her debut album, "Salamat", which consists of 10 songs, with 7 of her original compositions. Two weeks after its release, it has already reached Gold record status, then later took its "Platinum Record" after a month, followed by "3x Platinum Record" after several month of its release. She was then hailed "Pop Rock Princess of the Philippines". Because of her successful debut album, Star records then produced and launched her second album, "Journey" last 2008 with the carrier single, "Ikaw Lang Talaga". It contains 12 tracks, some of which were written by Yeng herself and the album reached Gold after several months of release. Currently, she is promoting her third studio album, LAPIT, with the carrier single, "Jeepney Lovestory". Its music video, which is now popularly played features cameo appearance of PBB Teen Clash Big 6 Ivan Dorschner and Ultimate Heartthrob, Piolo Pacual. Its music video was produced by Yeng herself. Aside from being a regular performer of ASAP ROCKS, Yeng also hosts the nightly show "MU LIVE!" with Tutti of 6cyclemind and Gee Canlas. Seriously, what more can she not do? She's definitely one of the talented performers in this generation. Her awards include Favorite Female Artist, Favorite Music Video and Favorite Song for Jeepney Love Story, Favorite MYX Celebrity VJ, Favorite Collaboration for Kung Wala Ka Na with 6 Cycle Mind and Kean Cipriano at the MYX Music Awards this 2011. She was also awarded Female Artist of the Year during the Tambayan 101.9 OPM Awards 2010 and Best Female Artist at the Philippine Digital Music Awards 2009, among with other notable awards. And this August 5, Yeng Constantino will proudly perform at her second major concert, entitled, "RakenRol Jamming" 8 PM at the Aliw Theater. Her guests include Gloc 9 and Raimund Marasigan. Yeng is currently busy with the production of the concert. 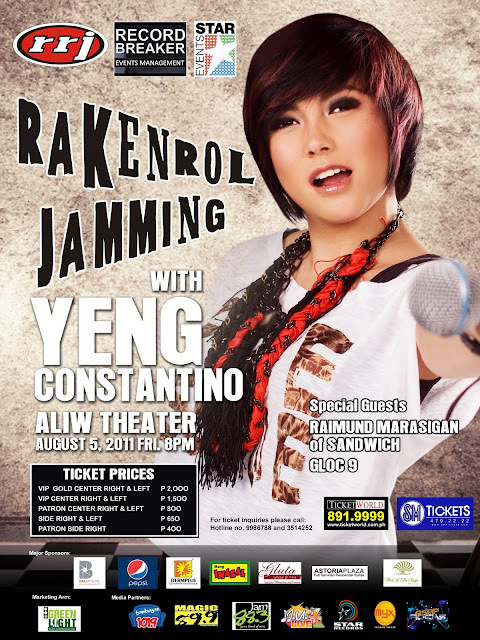 To avail of RakenRol Jamming with Yeng Constantino, you may purchase them through TicketWorld via www.ticketworld.com.ph or you may call them at tel. 891-9999 for more inquiries. Based on my Harry Potter posts below, you can say that I’m such a huge fan of the saga, the movies and the books that changed our way of thinking about the wizarding world. That is why I couldn’t miss the end without seeing in on the big screen at the first showing day. 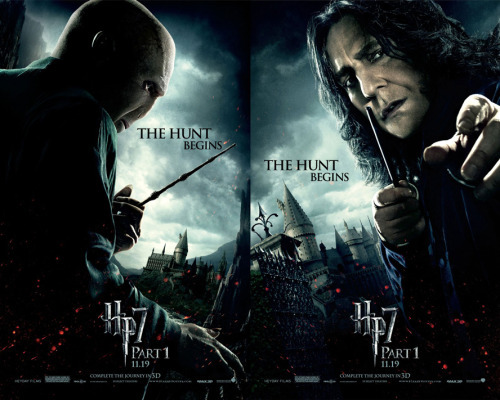 Harry Potter and the Deathly Hallows Part 2 is indeed the BEST.HARRY.POTTER.MOVIE.EVER! Harry Potter and the Deathly Hallows Part 2 continued after Lord Voldemort stole the Elder Wand from Professor Dumbledore’s tomb. He then searched for Professor Snape because he could not fully own the wand without defeating the wizard who has its allegiance. 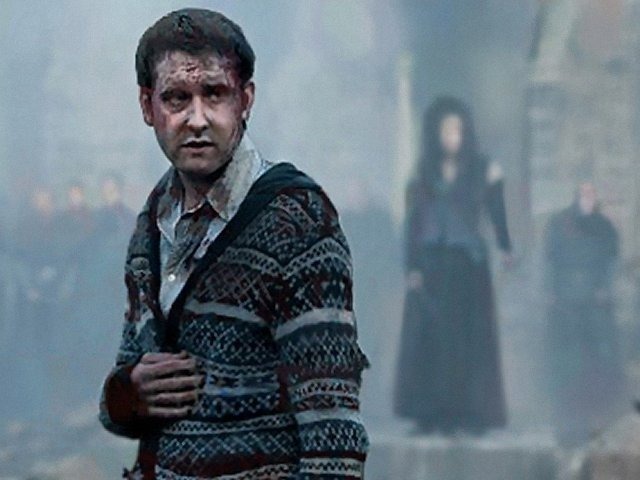 When he thought that he now owns the Elder Wand, he came searching for Harry so he could kill the boy who lived. 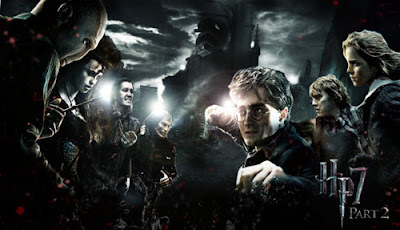 With the prophecy "Neither shall live, while the other survives, witness how Harry Potter will triumph the last battle with the Greatest Dark Lord of the wizarding world. Please excuse my raving, but after seven films, the cinematography, the special effects, the acting skills of the characters have been all out in this final film. I definitely could not ask for more! The fighting scenes were the best, how they protected Hogwarts and Harry Potter was just how I imagined it. Neville Longbottom owned the movie too, and Severus Snape, well, I wish Alan Rickman wins an award of two. And of course, Dan Radcliffe, Emma Watson and Rupert Grint will forever be missed. If you haven't seen it yet, experience it in full 3D and you will not be disappointed. 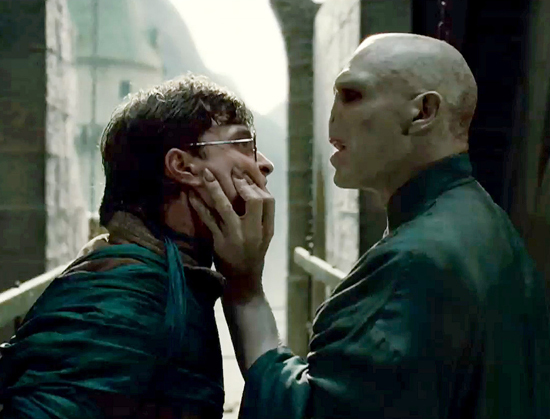 Harry Potter and the Deathly Hallows Part 2 is brought to us by Warner Brothers Production. Love Leather? Manels Five Day Anniversary Sale is On! An upcoming party is one reason to buy shoes, but with MANELS, a five-day ANNIVERSARY SALE of all items at 50% off is a reason to buy not only one, but many pairs of shoes, bags and accessories as well. From July 13-17, 2011, Manels celebrates its 47th year in the business and all items are on sale at ALL BRANCHES. This is their way of saying a big thank you to all their customers who have been with them for the past five decades. ﻿The girls just love the sale! As an added treat, customers who gets five or more items from them will get 55% off on their transaction. Now, can you feel the love? You can visit Manels' Branches nationwide at these establishments: Alabang Town Center, Festival Supermall, SM Megamall, SM Mall of Asia, Glorietta 5, Robinson's Place Manila, SM Bicutan, SM City North, SM Fairview, SM Manila, SM City Sucat, Ayala Center Cebu, CDO Limketkai Center, NE Pacific Mall, SM City Baguio, SM Clark, SM Bacoor, SM Iloilo and Island City Mall Bohol. For the fashionistas in us, Manels Nation makes all their customers a part of their advertisements. As their unwavering support to the proudly Pinoy materials that they make use of their products, Manels Nation campaign positions Manels as the "National Leather Goods". Through social network sites like Facebook and Lookbook, you have the chance to get featured online or at Manels branches by uploading your photos using their products and spread the Pinoy pride to the world. Further improving their image, Manels at SM Megamall has a new look using bright pink and bright blue colors in their interiors. These lovely colors features their high- fashion women's brand Catch using pink, while bright blue stands for their men's casual line Maphisto. The new interiors presents the new generation of Manels advocates, together with their reknowned leather goods. Its 50% on ALL ITEMS! 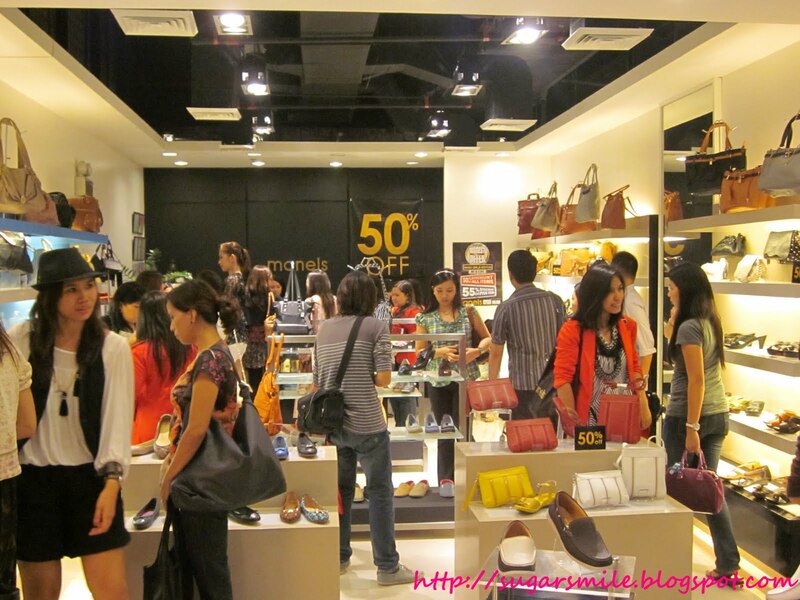 Last night, July 11, a Private Sale for bloggers was held at the SM Megamall Branch of Manels. 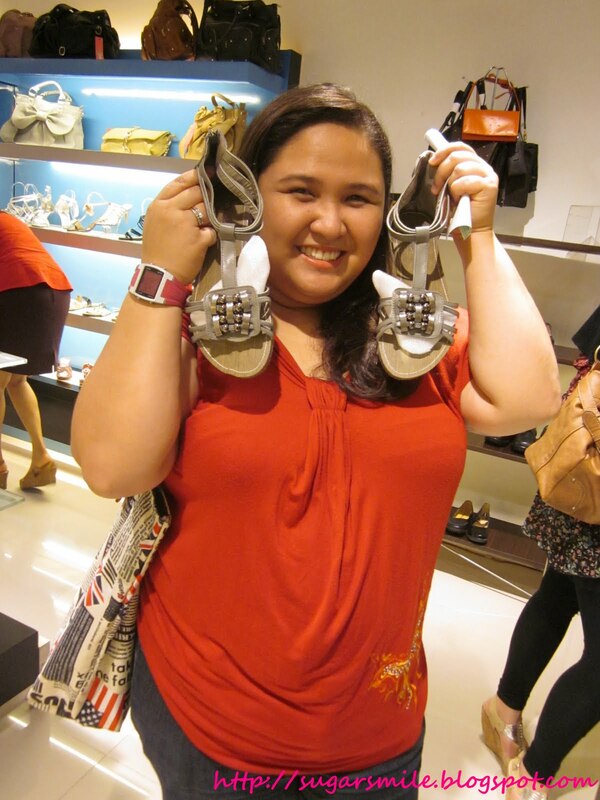 I was so happy going to the event because I just adore shoes. And the sale was good news to me since I was looking for a new pair of office shoes. I also met Mr. Mark Siggaoat, Manel Leathergoods Corp.'s VP for Operations and I was just floored that they give huge discounts like these. These heels are super love! Nikole is super happy with her purchase! After getting pressured and waiting for Nikole's approval on what pair I should choose, I got these cute blue shoes that are perfect for my office uniform or even in casual wear. At Php1,295, they are already a steal. But since theyre on sale, they're now priced at Php647. 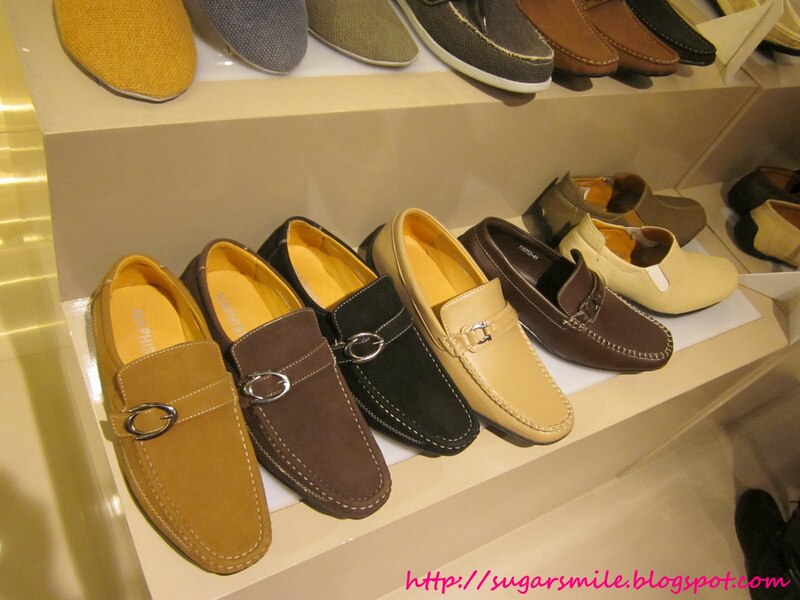 And that is why I'm so happy - good shoes, great quality and very affordable. Thank you Manels! So please do come on their Anniversary Sale, again, happening on July 13-17 and find your perfect pair of leather goods. Thanks to Sir Mark of Manels and Brandspeak Asia for inviting me in this special shoe event. Last Thursday at The Peninsula Manila, Sir Jay of Samsung asked us if we still use a separate monitor even if we already have our laptops. I answered him that since we use a desktop PC at the office, we kind of still do. But then he said that after his presentation, we might want to have a second monitor even if we already have our laptop screens on. And indeed, he was right. Magic 89.9 DJ Mia Bayuga hosted the Samsung Monitors event at the Presidential Suite of Peninsula Manila and introduced the newest Samsung Monitors that changes the way you view your files, photos, reinvent how you watch your favorite series and change your full gaming experience. They are the Central Station Monitor LC23A750, Multifunction Monitor LT23A350 and the 3D Monitor LS27A950D. And here is how they would change your viewing experience right before your eyes. The Central Station Monitor LC23A750 is a 23-inch LED Ultimate Hub Monitor that works just like a laptop. It is the world's first Embedded monitor and can easily connect to your gadgets like your laptop, digital camera, gaming consoles and the like. What would you love the most about it? It can connect to your PC without using any wires. You don't need to get tangled, and you could even adjust the position of the screen (even downside, so that it may look like a tablet). It will be available on the market at August of 2011 with the SRP of Php19,990. Just like Cesca Litton, I need a multi-functional screen where I could blog and watch my favorite Gossip Girl series at the same time. 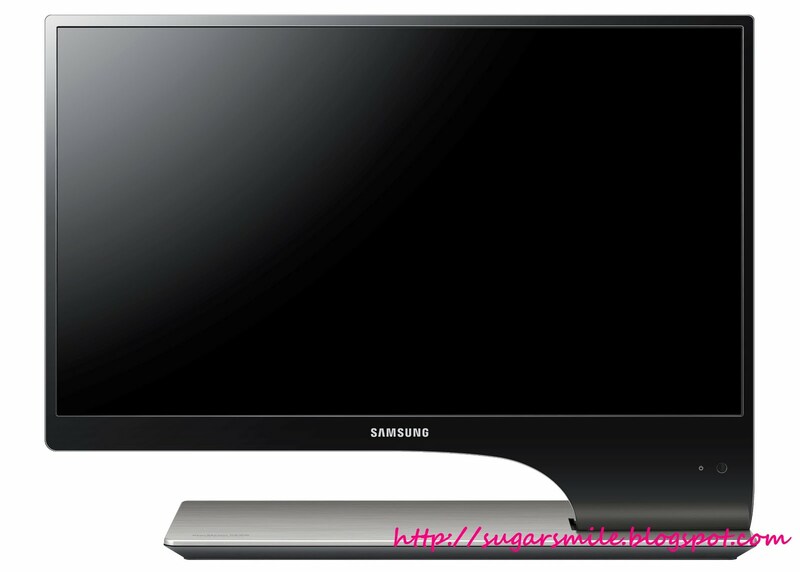 And thankfully, Samsung's Multifunction Monitor LT23A350 has the solution for that. These monitors provide a more distinctive image quality and HD motion videos are crisp to view. It also has True Life-Like sound and uses the most innovative sound solutions. They are affordably priced at Php14,990. Nowadays, 3D is not just for theaters, but for home viewing as well. 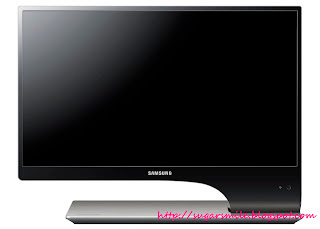 And Samsung's 3D Monitor LS27A950D boasts of 27-inch, 3D hyper real engine and its 3D depth with more than 30% brighter images images provides lesser dizziness. We caught blogger Jayvee Fernandez enjoying his game and loving its 3D output. 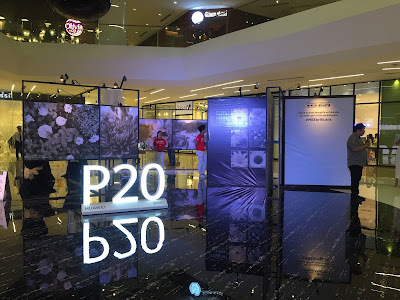 With a free 3D glasses, you can enjoy playing your action games or even Angry Birds in 3D, says Mr. Eric Sulit, Samsung Electronics IT Director. These awesome 3D Monitors are available in the market at SRP Php31,990. Samsung has done an incredible breakthrough once again with their computer monitors. With their multi-functional features, they're not just ordinary monitors anymore. These monitors not only connect to our different gadgets, but it fits our lifestyle as well. 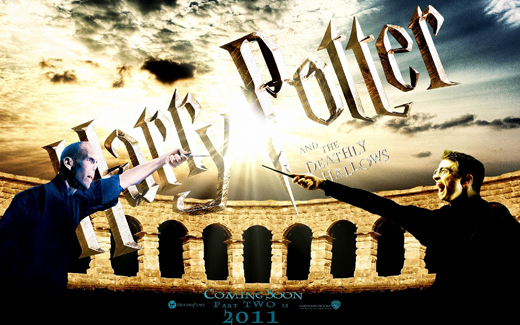 Saving The Date for Harry Potter on July 14! It has always been a ritual for me to watch Harry Potter films. And I must simply watch it on the FIRST DAY of showing. I remembered the first time I've seen a Harry Potter movie, Harry Potter and the Chamber of Secrets, was with my friend Jops. Funny thing was not seeing Harry Potter and the Sorceror's Stone, yet I watched its second movie. On its first day of screening, and I think we even bailed out of school because our professor didn't show up that day. Since then, and after slaving myself to read the books before they show it on the big screen, I promised myself to see the film no matter how it takes. And now on its final movie, I'd like to commend Sureseats for the fast transaction in buying tickets. So now, I'm ready on the 14th of July. By and I will see Harry, Hermione, Ron and the wizarding world once again. And I am definitely bringing a big pack of tissue because it sure will be a major tearjerker. I'm not much of a make-up kind of girl. During college, my bag only contains of three beauty products: Powder, Lip Gloss and a Comb. Unlike my best friend Carmela, I'm not fond of Lipstick either, just a simple lip balm will do. And that is why when I graduated from college and had my first job, I was such a klutz in putting on an eye shadow. I even thought blue was the nicest of all colors in the palette. Thank God for beautiful officemates who know how to put on even a mean mascara, I finally learned a bit about drawing colors on your face. 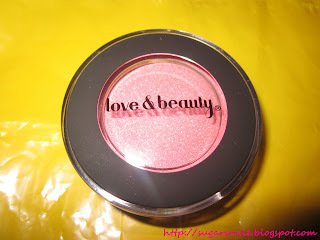 Hence, my latest buy, Forever21's Love and Beauty Blush (Php285). Since I had credits left on my Forever21 Gift Card from last year's Samsung event, I thought of using it during my latest trip to SM Makati. 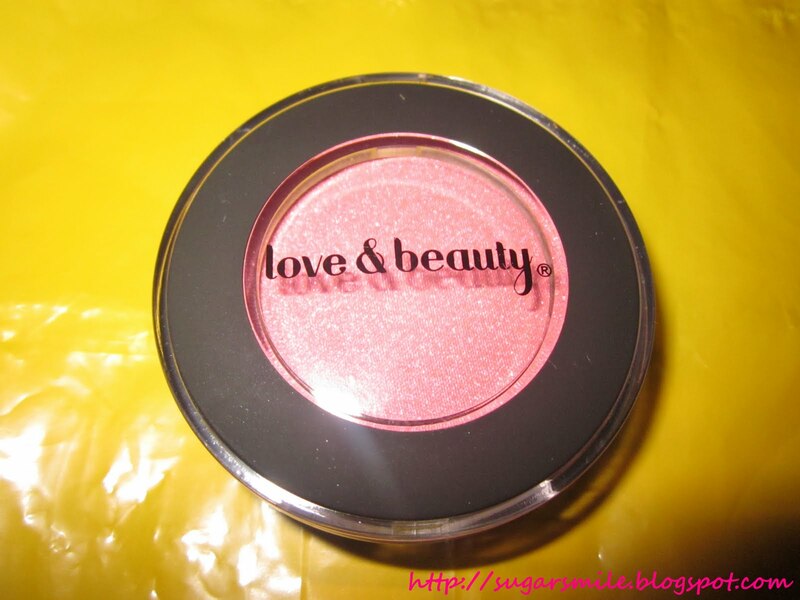 I was contemplating on whether to buy the eye shadow palette but I'm not into bulky packages, so I got this blush instead. I was just raving on how pink it is. I tried it last Friday and I just love how it compliments my "morena" skin. And since I'm a klutz, Forever21 Love and Beauty's mirror and brush at the lower side is just perfect if I'm not carrying my mirror with me. It definitely saves my things from clutter too because I don't need to buy a separate brush. Just perfect for on the go girls like me. Forever21 Makati is located at the Ground Floor, SM Makati, Tel. no. 553-0448.